Music and sounds for interactive installation at National Museum of Denmark, Kongernes Jelling (UNESCO world heritage site). 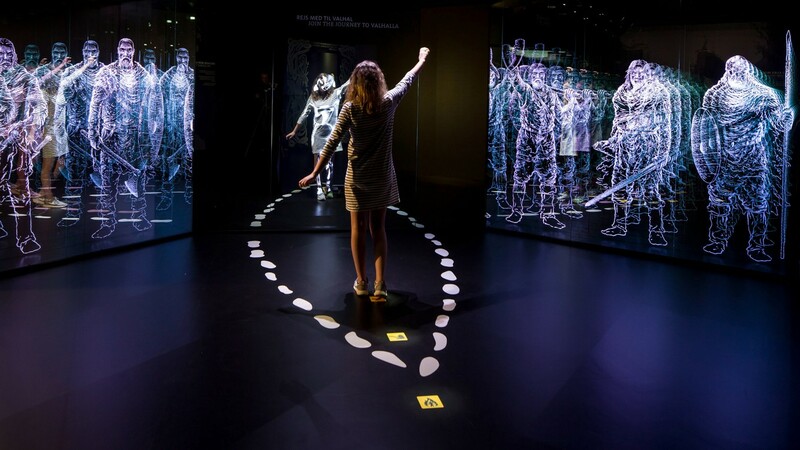 Within the permanent exhibition on Danish history, visitors can enter the virtual 'Stoneship' and see a hologram of their bodies enter the Viking world of the dead. Music and sound effects contribute to the augmented-reality transformation of the 21-century museum visitor into a wounded Viking warrior in Valhalla.